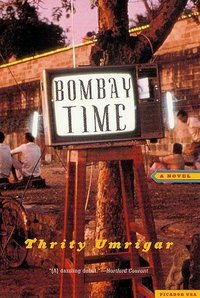 At the wedding of a young man from a middle-class apartment building in Bombay, the men and women of this unique community gather together and look back on their youthful, idealistic selves and consider the changes the years have wrought. The lives of the Parsi men and women who grew up together in Wadi Baug are revealed in all their complicated humanity: Adi Patel's disintegration into alcoholism; Dosamai's gossiping tongue; and Soli Contractor's betrayal and heartbreak. And observing it all is Rusi Bilimoria, a disillusioned businessman who struggles to make sense of his life and hold together a fraying community.